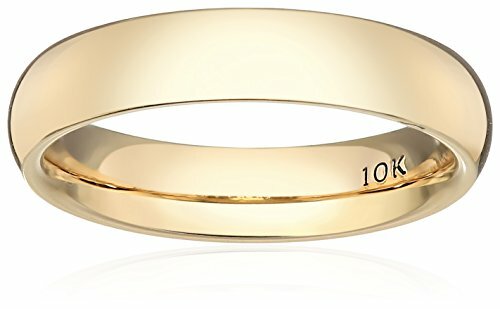 For a timeless piece of jewelry that is ideal for everyday wear, choose the Women's 10k Gold Comfort Fit Band. This subtle ring is cast in rich 10k yellow gold, an elegant metal in a neutral tone that is easy to wear. Measuring 4 millimeters wide, the simple band features a rounded silhouette and a smooth, polished finish. The ring is completed with a flat comfort-fit inner edge that allows the owner to wear it all day and night comfortably. With its contemporary look and feel, this band-style ring offers all the right details for the sophisticated modern wearer.